Working Title and Universal Pictures announced on December 12 that principal photography has begun on "Cats," the groundbreaking new musical film adaptation of Andrew Lloyd Webber's global stage-musical sensation and the poems from "Old Possum's Book of Practical Cats" by T.S. Eliot. The film stars Tony- and Emmy-winning actor and host James Corden (One Man, Two Guvnors, The Late Late Show with James Corden), Academy Award®-winning actress Judi Dench (Shakespeare in Love), multi-platinum-selling singer-songwriter Jason Derulo, Emmy- and Golden Globe-winning actor Idris Elba (HBO's The Wire, BBC One's Luther), Academy Award®, Golden Globe and Grammy Award-winning artist Jennifer Hudson (Dreamgirls), Academy Award®-nominated actor Ian McKellen (Gods and Monsters), Emmy and ten-time Grammy-winning global music icon Taylor Swift, whose Reputation Stadium Tour is the highest grossing U.S. tour in history, comedy superstar Rebel Wilson (the Pitch Perfect franchise) and introduces Francesca Hayward, principal dancer with The Royal Ballet. Academy Award®-winning director Tom Hooper (The King's Speech, Les Misérables, The Danish Girl) brings astonishing new technology to transform his cast members in a breathtaking, vivid new vision of one of the most beloved musicals of all time. Adapted for the screen by Hooper and Lee Hall (Billy Elliot), Cats is produced by Hooper and Working Title's Tim Bevan and Eric Fellner, as well as Debra Hayward (Les Misérables), who brought the idea to Working Title. The film will be produced by Working Title Films in association with Monumental Pictures and The Really Useful Group and executive produced by three-time Oscar® winner Steven Spielberg, musical theater legend Lloyd Webber, Angela Morrison (Les Misérables) and Jo Burn(Annihilation). One of the longest-running shows in West End and Broadway history, the London stage production of "Cats" received its world premiere at the New London Theatre in 1981—where it played for 21 record-breaking years and almost 9,000 performances. 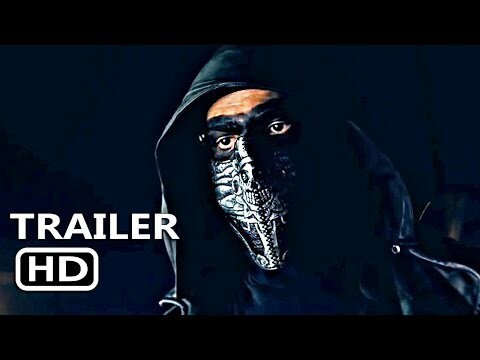 Based on T.S. Eliot's "Old Possum's Book of Practical Cats," the show won the Olivier and Evening Standard Awards for Best Musical. Under the guidance of three-time Tony-winning choreographer Andy Blankenbuehler (Hamilton: An American Musical, In the Heights, Bandstand), who also choreographed the 2016 stage revival of "Cats," the film cast features some of the most exceptional and inspiring professional dancers working today, including hip hop dance sensation Larry and Laurent Bourgeiois (aka Les Twins); former principal dancer for the New York City Ballet and Tony-nominated actor Robbie Fairchild (An American In Paris); former soloist of The Royal Ballet Eric Underwood; Mëtte Towley, a member of Pharrell Williams' acclaimed dance troupe The Baes; Steven McRae, principal of The Royal Ballet; and thrilling, cutting-edge street, freestyle and contemporary dancers from Brazil, France, Philippines, the U.S. and the United Kingdom. 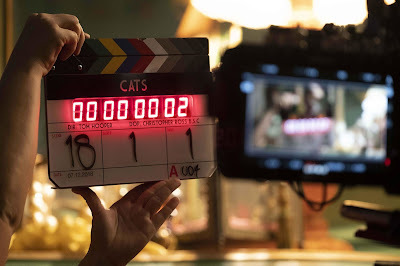 The world-class creative team bringing Cats to the screen includes Oscar®-nominated production designer Eve Stewart (The King's Speech), cinematographer Christopher Ross (Terminal, Room), Oscar®-nominated costume designer Paco Delgado (The Danish Girl), Oscar®-winning sound mixer Simon Hayes (Les Misérables), BAFTA-winning executive music producer Marius De Vries (Moulin Rouge, Romeo + Juliet) and renowned casting director Lucy Bevan (Ready Player One, Murder on the Orient Express). Working Title Films, co-chaired by Tim Bevan and Eric Fellner since 1992, is one of the world's leading film production companies. Founded in 1983, Working Title has produced more than 100 films that collectively have grossed more than $7.5 billion worldwide. Its films have won 14 Academy Awards®and 42 British Academy of Film and Television Arts (BAFTA) Awards, as well as numerous prestigious prizes at the Cannes and Berlin International Film Festivals. Bevan and Fellner have been honored with the Producers Guild of America's David O. Selznick Achievement Award in Theatrical Motion Pictures, the PGA's highest honor for motion picture producers. They have also been accorded two of the highest film awards given to British filmmakers: the Michael Balcon Award for Outstanding British Contribution to Cinema, given at the Orange British Academy Film (BAFTA) Awards, and the Alexander Walker Film Award at the Evening Standard British Film Awards. They have also both been honored with CBEs (Commanders of the Order of the British Empire). Working Title has successful creative collaborations with filmmakers including the Coen brothers, Richard Curtis, Stephen Daldry, Stephen Frears, Baltasar Kormákur, Paul Greengrass, Edgar Wright, Tom Hooper and Joe Wright; and actors Rowan Atkinson, Cate Blanchett, Colin Firth, Hugh Grant, Keira Knightley, Saoirse Ronan, Gary Oldman, Eddie Redmayne, Sacha Baron Cohen and Emma Thompson, among others. Working Title is currently in limited release Josie Rourke's Mary Queen of Scots, starring Margot Robbie, Saoirse Ronan and Joe Alwyn. Their upcoming titles include The Kid Who Would Be Kingstarring Rebecca Ferguson and Patrick Stewart, the Untitled Danny Boyle/Richard Curtis Comedystarring Lily James and Kate McKinnon, Radioactive, starring Rosamund Pike and Anya Taylor-Joy, and Tom Hooper's Cats. Monumental Pictures Ltd. is a film and television company launched in 2014 by long-time friends and Oscar-nominated and BAFTA winning producers Alison Owen and Debra Hayward. They first shared credit in 1998 on Elizabeth I, a film that collected a total of seven Academy Awards® and twelve BAFTA nominations, including a win for Best Picture and which launched Cate Blanchett to international fame. It is female-driven vehicles such as this, with commercial heft and artistic integrity, that they carry forward into their Monumental slate. The producing duo is in post-production on How To Build A Girl by Caitlin Moran and adapted from her comedic, best-selling novel of the same name. Directed by Coky Giedroyc and starring Beanie Feldstein (Lady Bird), Alfie Allen, Paddy Considine and Sarah Solemani, with Chris O'Dowd and Emma Thompson. For Hayward, December 2018 saw the release of Mary Queen of Scots, produced for Focus Features and Working Title Films, which sees Academy Award® nominee Saoirse Ronan in the title role and Academy Award® nominee Margot Robbie as Queen Elizabeth I. In 2016, Hayward produced the third installment of the Bridget Jones franchise, Bridget Jones's Baby, starring Renée Zellweger, Colin Firthand Patrick Dempsey. It set a record for the biggest comedy/romantic comedy opening ever in the U.K. In the same year, Owen produced Me Before You for MGM, directed by Thea Sharrock and starring Emilia Clarke and Sam Claflin which made more than $200 million worldwide. 2019 will see another collaboration with MGM, The Hustle, starring Rebel Wilson and Anne Hathaway. In 2015, Owen produced Suffragette written by Abi Morgan, directed by Sarah Gavron, with Carey Mulligan, Helena Bonham Carter, Brendan Gleeson and Meryl Streep starring in an ensemble piece about the Suffragette movement. Owen has consistently produced award-winning, commercial film and television, with credits including Saving Mr. Banks, starring Emma Thompson and Tom Hanks, The Other Boleyn Girl, Jane Eyre, the seven Emmy-award-winning Temple Grandin, and the International Emmy-award-winning Small Island. Hayward has produced the Golden Globe-winning Les Misérables, directed by Tom Hooper, with whom she reunites for Cats. Prior to that, Hayward served as Executive Producer on critical and commercial successes including Tinker Tailor Soldier Spy, Frost/Nixon, Nanny McPhee, Atonement, Bridget Jones's Diary and Pride & Prejudice.